Having an attractive, SEO-optimized auto dealership website is more important than ever. As most other areas of life today, technology has changed the way people shop for their vehicles. In [A1] fact, roughly 86 percent of shoppers research vehicles online before ever stepping foot onto a dealership. · 96 percent find dealership websites helpful, particularly the vehicle description pages. · 91 percent of vehicle shoppers use the internet. · 45 percent of people research vehicles before and after they visit a dealership. You can see why it's important to have a website that not only looks good, but also reaches the widest possible audience. To do so, auto dealership websites must optimize with vehicle-specific keywords and follow best practices to make sure the website, pages, and content are readily visible to consumers by achieving high rankings in search results. Want to learn how? Keep reading for five tips to get you started. 1. Set up a winning website. Did [A2] you know that 90 percent of potential buyers get their first impressions of your dealership from your website? Make sure your website ranks highly among search results by creating a home page with 400 words or more, and including keywords relevant to your industry. Also, include the dealership's address, contact information, and cities you serve on every page of the site. You're [A3] in a competitive business. To stand out, you need to do more than just list your inventory and provide product descriptions — you need to have content that provides value to potential customers and makes your site the go-to spot for advice. As customers interact with your website based on the advice and tips provided, they'll begin to form trust in your auto dealership, and keep you in mind when it's time to buy a vehicle. To keep your website ranking high within the search engine results, make sure to regularly update blog posts and news articles with topics that are relevant and unique, and provide value to your readers. Some ideas include seasonal vehicle maintenance, traveling during the holidays, local events, or community construction impacting local traffic. Do your research! Finding the most relevant keywords is crucial in succeeding at automotive SEO, and should guide your advertising and content plans. Tools like Google Ads' Keyword Planner can give you a good starting point by suggesting keywords based on their estimated search volume. In addition to choosing the right keywords, you also want to make sure the ones you pick are targeted to your local area. For example, if you offer an oil change service in Memphis, target keywords like "oil change in Memphis." Use a site aggregator tool. The more your auto dealership's name and contact information is mentioned on other websites, the more credible your business is with search engines and customers alike. It also helps your dealership's website rank well, which means potential customers can find you more easily. Aggregator tools like Yext or Moz Local boost your business mentions by publishing your dealership's information across different directory sites. This [A4] could be one of the best tools in your digital marketing toolbox. Creating a Google My Business listing is free, boosts your online presence, and makes your business visible in local searches. Start by Googling your business to make sure you don't already have a listing. If so, claim it and edit the information. If not, add a new page and use all your contact information. Add your service area information, including all zip codes and/or cities you serve. After you've made sure all your details are correct, submit the information and verify the listing. Key(word) Benefits: What Does a Successful SEO Campaign Look Like? Is search engine optimization important for your company's overall marketing strategy? Of course, it is! SEO is all about positioning a company's content and ads at the top of search results so more consumers find that needle in the virtual haystack and convert. Using SEO isn't a quick and easy scheme, however. Marketers have to make the right investments for the long term to experience great SEO marketing traction. Using the right keywords is essential, but what are the other components of a successful SEO campaign? How do you know a campaign has been successful? Examine those aspects below. Recent statistics show that 60 percent of all clicks happen on the top three sites in searches, and three-quarters of web users never scroll past the first page of search results. As a former colleague once joked, "The best place to bury a dead body is on page two of web search results." So this leads to an understanding of the success factors in a modern SEO campaign. Rather than achieve high rankings in search results for particular keywords, businesses should aspire to move their search results toward more leads and conversions for the business. Keywords are still important factors in today's SEO campaigns, but that's evolving. Natural language search is becoming a key component of all searches, as more users search by verbally asking mobile devices questions. In fact, researcher comScore expects voice search to account for half of all searches by 2020. That means marketers will need to focus on voice searches with greater clarity in the coming years. Take a look at some key components marketers should use when assessing the success or failure of an SEO campaign. Good SEO webmasters should routinely track overall web traffic, including traffic from search engines (from search queries), referral traffic (from email, promos or campaign links) and direct navigation traffic (typed in searches, bookmark links, etc.). Conversions from search terms is a very important metric, but it's just a start. SEO pros can use conversion rates to extrapolate more data and deeper information about how conversions start and end on your site. This is one of the absolute metrics to overall great SEO. Marketers should know which pages are gaining SEO traffic from search engines. Analytics will yield this information, and that will then lead to understanding indexation, or which pages from your site search engines are still indexing. Having this number from indexation is a very good indicator of SEO success or failure. Large increases in web traffic as a result of performance or market share is usually a good sign of SEO success, but marketers should look for high-level links rather than a lot of traffic from low-level links. That in itself could be a sign of something amiss with your site or page links. Key Performance Indicators, or KPI, for successful SEO campaigns should include the overall awareness or impact from search on organic traffic, the engagement levels of the traffic and if the overall traffic might lead to a lead or conversion over time. Other KPI might include the value of content on your site contributing to increased traffic and the use of more traditional SEO keyword traffic via high-performance links. 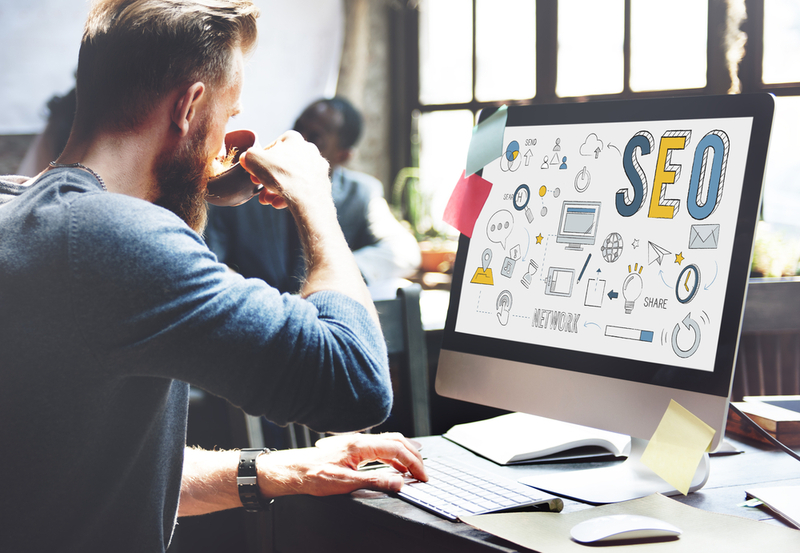 Paying attention to these criteria can help most marketers understand the immense value in understanding SEO and its crucial position in the marketing alchemy.